Nova Europae descriptio... - MERCATOR, G. / HONDIUS, J. Size : 14.7 x 19.7 inches. / 37.3 x 50.0 cm. 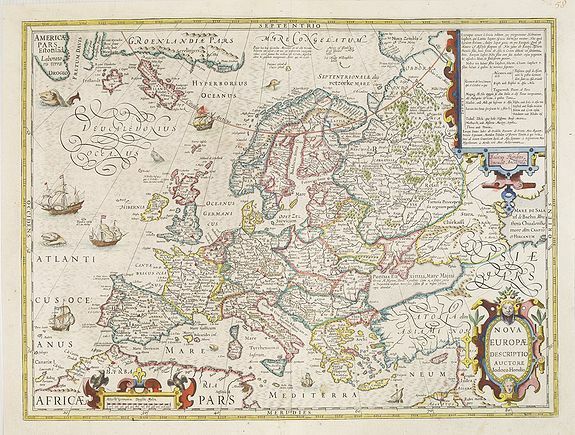 Description :Very decorative map of Europe decorated with many ships and sea monsters. Condition : Repair of a marginal split in lower margin next to center fold, running 1cm. into engraved area. Otherwise a nice and dark printing.